It has been a long time since the last post, with time seemingly at a premium at the moment. Today’s selection may seem like a bit of an obvious choice of a band and a record but despite my love of the obscure and unknown it is definitely necessary to cover the biggest, in both popularity and personnel over their life, as well as most prolific bands in Africa. OK Jazz was formed in 1956 and lasted 37 years before being disbanded in 1993, giving the Rolling Stones a run for their money in terms of longevity. The band’s history and changes in personnel are complex, reading like a who’s who of Congolese musicians recording hundreds of records over their lifetime. 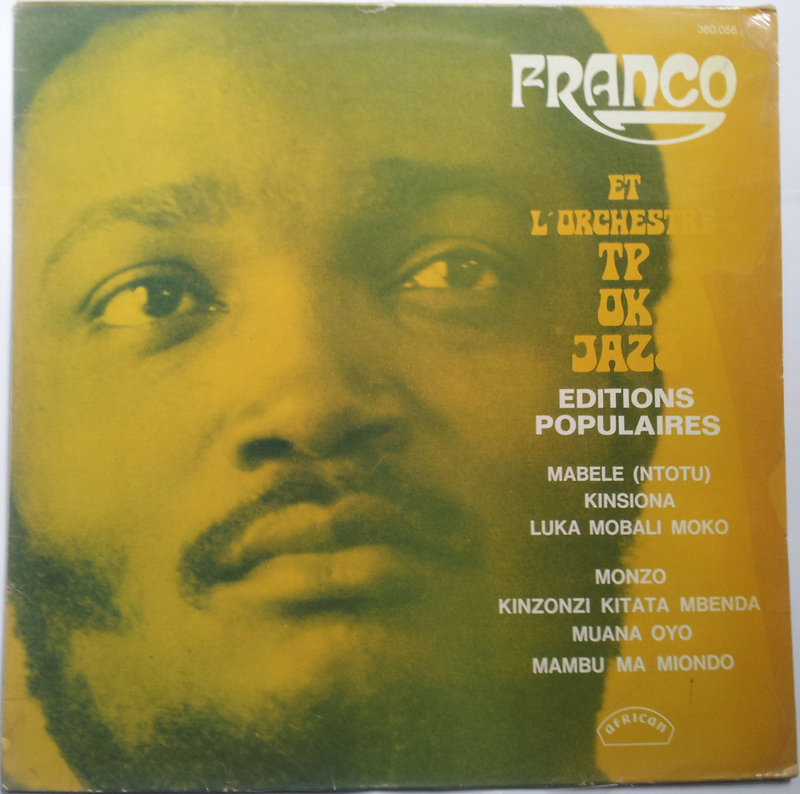 Arguably the most well known member and eventual band leader was guitarist François Luambo Makiadi, known as Franco. Franco’s period of assuming leadership of the band in the late 1960’s that transformed it to all conquering can be read about on the meticulously written and researched World Service, here. Soukous, or Rumba, from the French word secousse, to shake, is one of the most popular styles of music in Africa, spreading from Kinshasa, in the Belgian Congo to Nairobi in Kenya, where it is known as Lingala after the dialect the songs where sung. 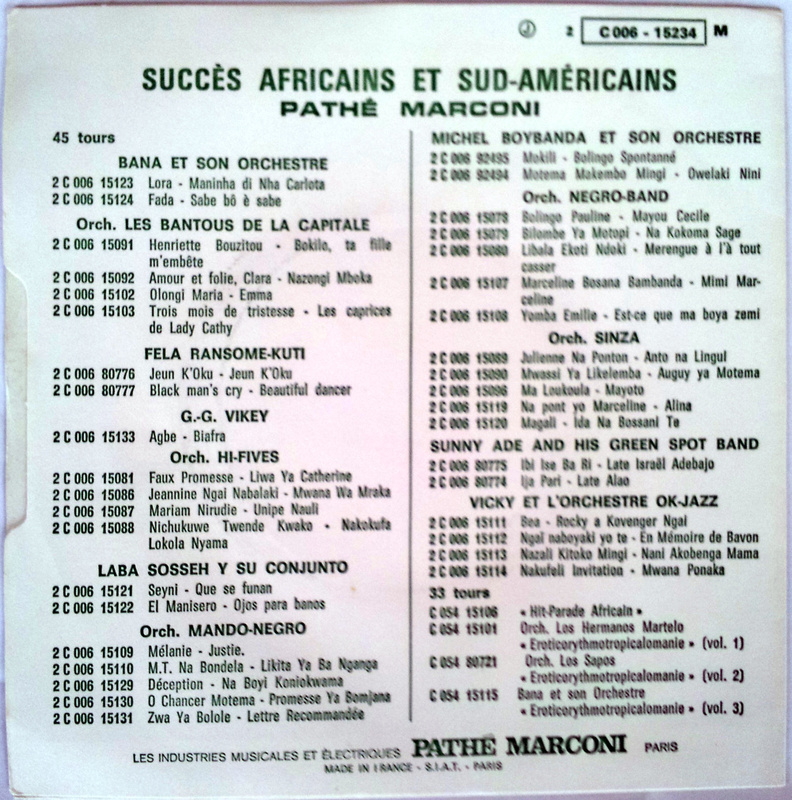 African Rumba is said to originated when Cuban songs were played on the national radio station in Kinshasa in the 1940’s and 50’s. The typical Cuban style horns were played on the guitar and the lyrics were sung in French and Lingala by early Congolese bands and musicians like Papa Wenga. 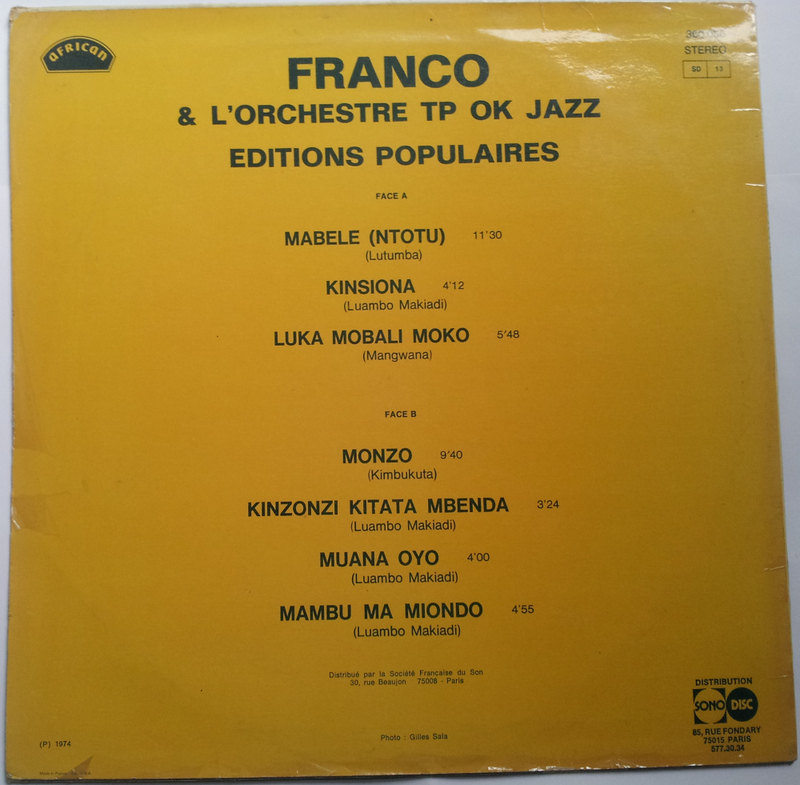 By the 1960’s and 70’s Soukous was at the height of its popularity and Franco and TPOK Jazz were in full swing. 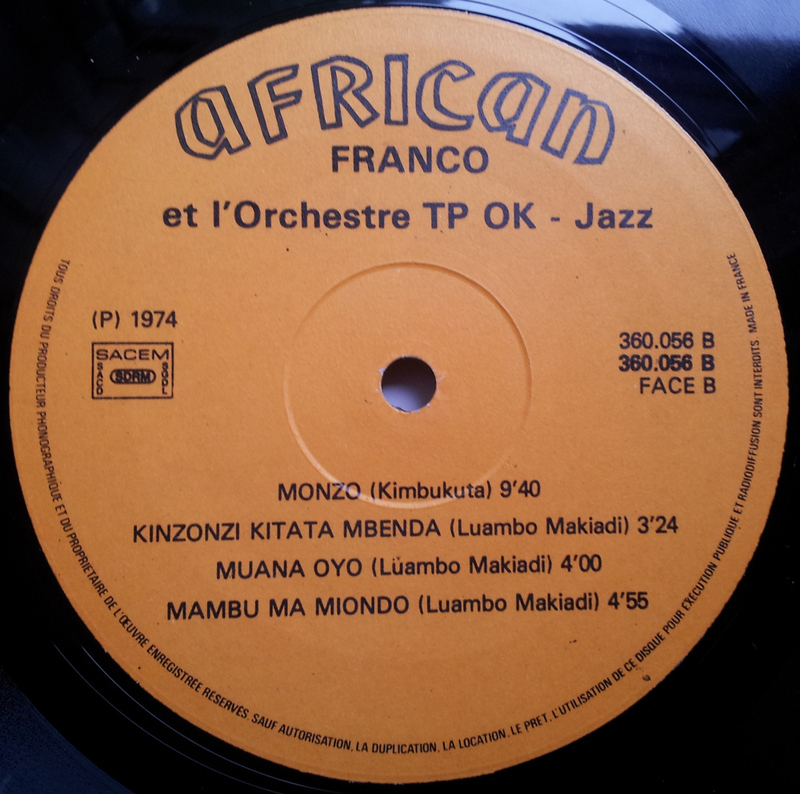 Such was their popularity they split into two groups, with one remaining in Kinshasa playing local clubs, the other touring Africa, Europe and America. Here they can be seen playing Kinsiona in 1987 in Utrecht, Netherlands. Today’s selections come from a 1974 LP and show the range of the band, and the power of Franco’s voice framed with blaring horns. It has been a several weeks since the last post, but with this, I hope it has been worth the wait. The Volta River and its three tributaries, the White, Red and Black Volta, form a region in Burkina Faso in the North and Ghana in the South, where the rivers feed Lake Volta, the largest natural reservoir in the world. The region is not only geographically rich; it contains numerous tribal groups with the Ewe making up a large part of the population mainly in Ghana, but formally Togoland, and the Gurma in Burkina Faso in the North. With bands like Super Volta Jazz and Amadou Balake the music in this region is, unsurprisingly, pretty special. 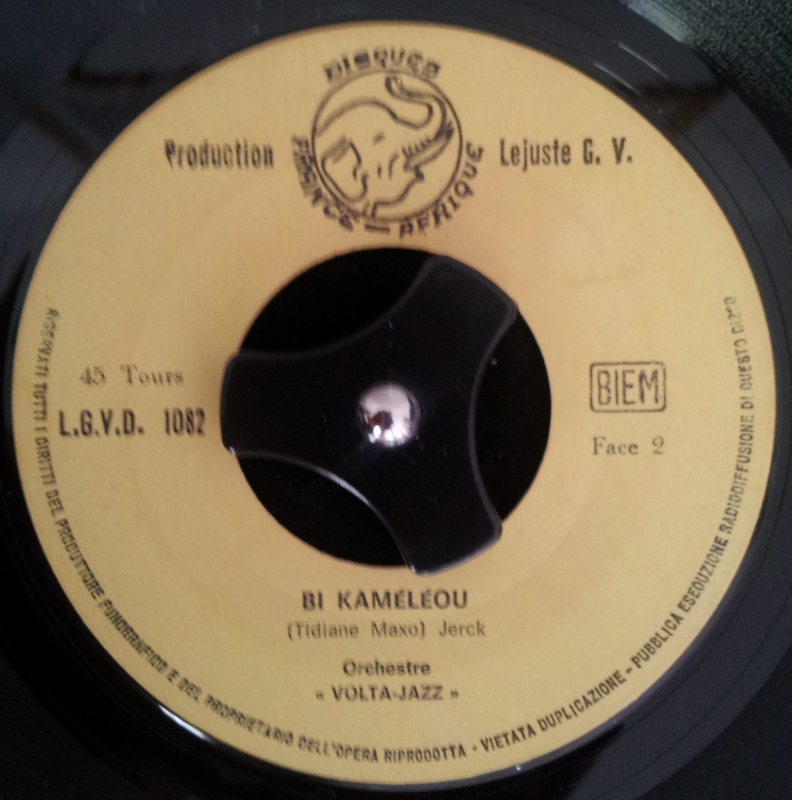 Featured today is a single from prolific Orchestre Volta Jazz. 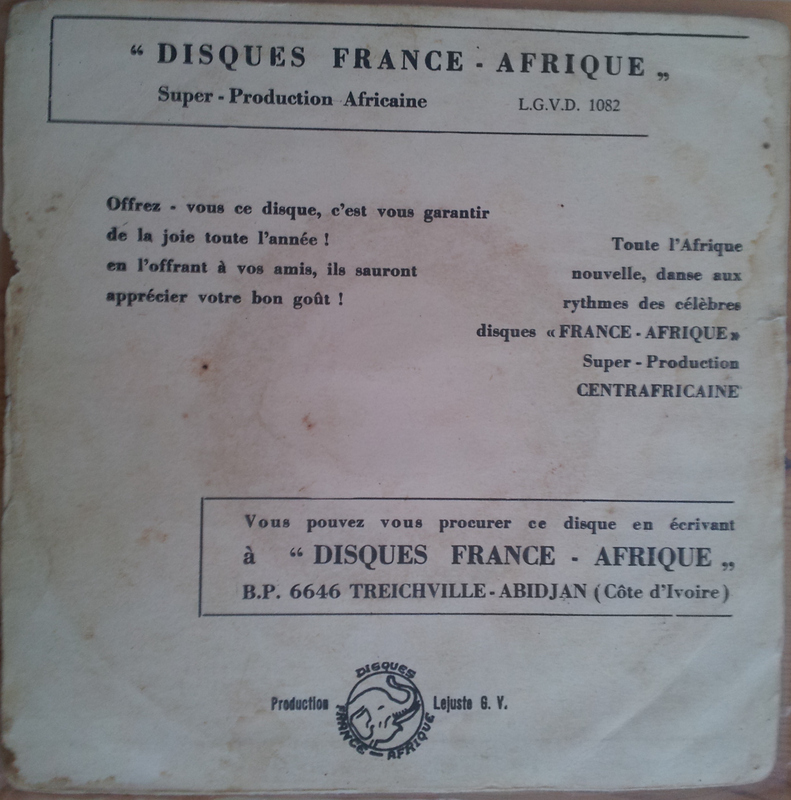 They have recorded over 30 7 inches for Burkinabé label Disques France-Afrique; a fullish discography can be found on Radio Africa’s great site here. The band was formed around the same time as Super Volta Jazz in the 1960s but did not appear to start releasing until mid to late 70s. This could explain why despite today’s record being released in the late 1970s it is appears musically to be from a decade earlier. 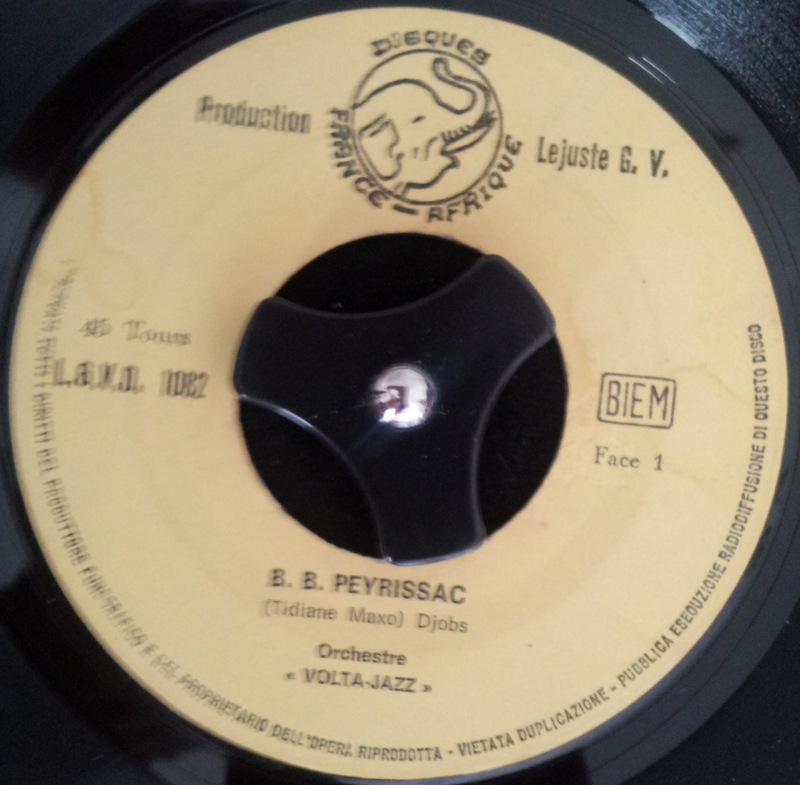 The A side is a Congolese style piece but the B side has a great 60s Garage sound to it. Having a love of Garage this really ticks the boxes for me. The guitar break could have easily been written by The Sonics or The Dirty Wurds. When I think of the Congo several things come to mind: the great river, the early exploration into Africa, humanity’s capacity for evil, as shown in Conrad’s novel Heart of Darkness, and more recently the bloody conflict that has raged for over twenty years, claiming over five million lives. The danger with these western stereotypes, as Chinua Achebe, the Nigerian writer, famously said in his 1975 lecture An Image of Africa: Racism in Conrad’s “Heart of Darkness”, is Africa becomes “the other world”; it is dehumanised and ends up “a foil to Europe”. Achebe is a great humanist and I urge everyone to read Things Fall Apart to get another perspective of colonialism in Africa. The intention of this blog is to document the rich music of Africa, however, with D.R. Congo it is hard not to digress. The history of this Central African country is complex, fascinating and heartbreaking. From the arrival of the Victorian explorers like Henry Morton Stanley and David Livingstone, to the unashamed and uncompromising ambitions of the Belgian monarch Leopold II, through to the present day civil war, Congo’s history warrants common knowledge. Sadly it has become the West’s dirty secret. Back to the music, which is obviously a great way to humanise. 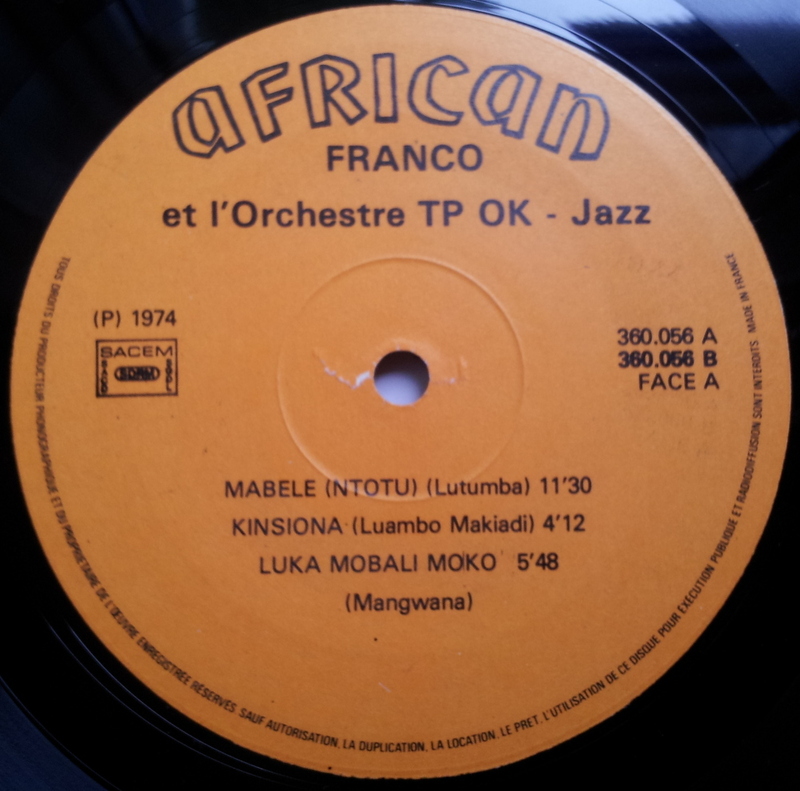 Today’s selection is from a Congolese band based and recording predominately in Kenya. 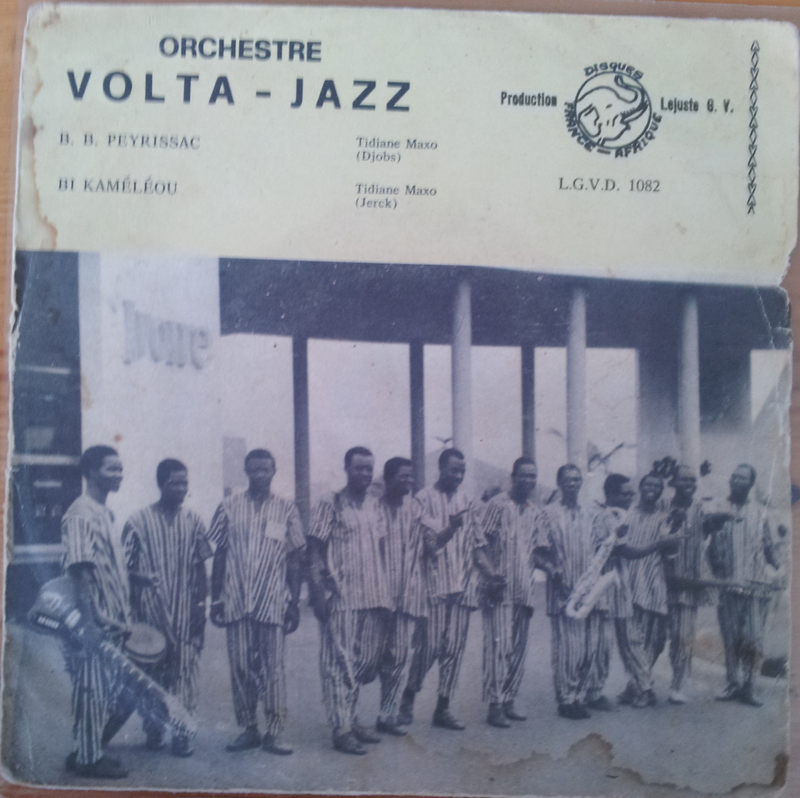 Orchestre Les Noirs were founded by Chuza Kabasellah who was born in Kasai, D.R. Congo. The band reformed with different personnel and were renamed several times with similar variations of their name. 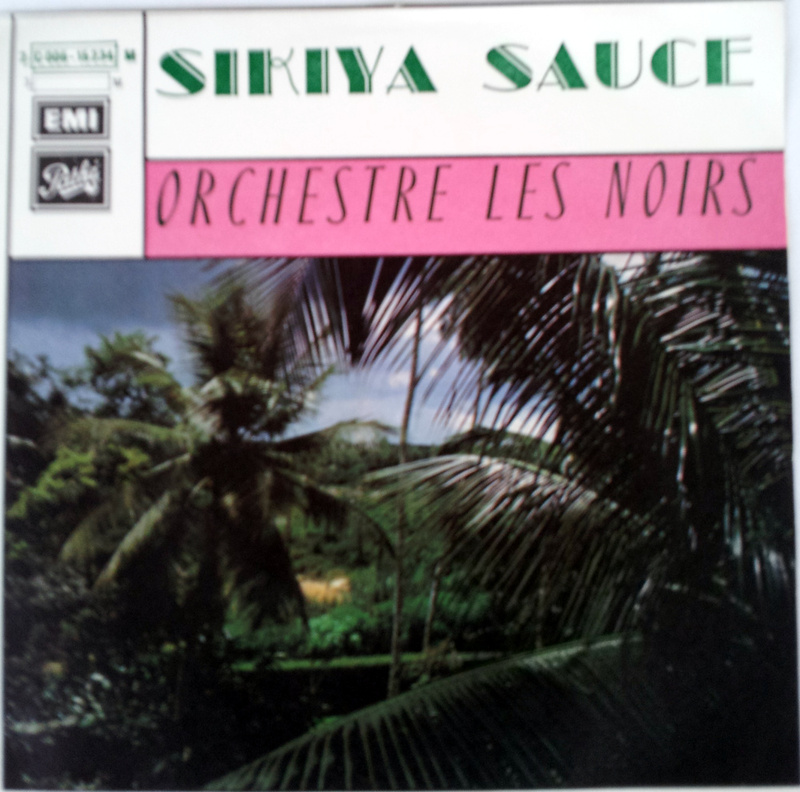 The track Sikiya Sauce is typical Soukous, Lingala, if you are from Uganda or Tanzania, and Rumba in Zambia and Zimbabwe; music does not recognise borders. Sikiya comes from the East African language of Kishwahli, which has a large presence in Central Africa, particularly in Lumbumbashi, D.R. Congo. Sikia means to listen, feel or even taste (hence the connection to sauce). The rough, but very apt, translation is therefore listen to the delicious tasting music. The word sikiya is suitably peppered throughout Central and East African music. Season well and enjoy both sides of this single. 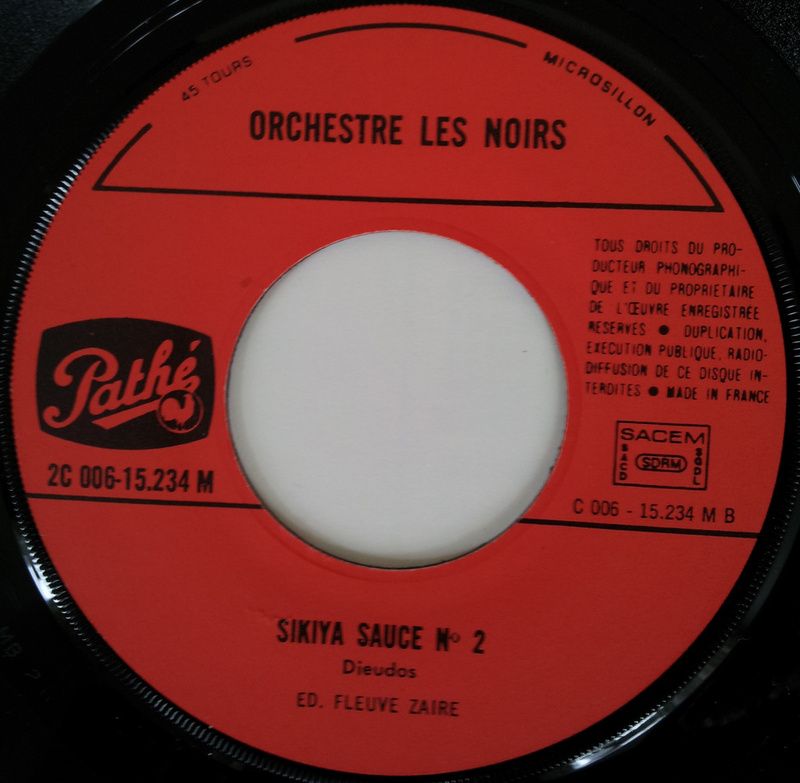 Many thanks to the wonderful site, MUZIKIFAN, that provided the background information on Orchestre les Noirs, as well as other Congolese bands in Kenya here.